In the last fiscal year, the Plansee Group increased its number of patents yet again and now holds more than 2,000 patents worldwide—a new record. 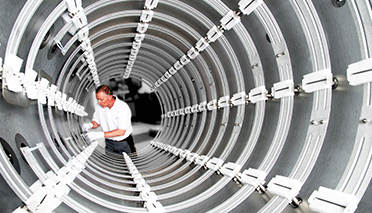 Ceratizit acquires 50 percent stake in Stadler Metalle. 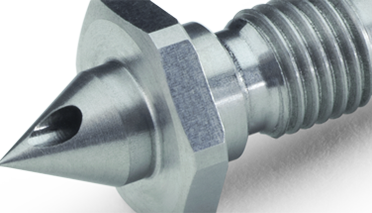 Available with just one click: customers can now order SPARKAL® EDM electrodes, which are used in spark erosion, fast and easy online. Plansee Powertech AG in Seon, Switzerland, recently held the opening ceremony of a newly constructed facility. 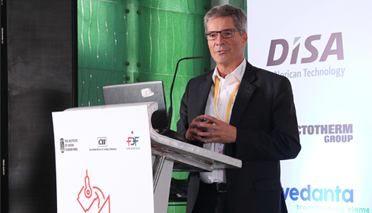 Attendees included the Chief of Government Dr. Urs Hofmann and other representatives of the Aargau Department of Economic and Interior Affairs. From November 22rd to 25th 2018 the Austrian Skills Championships for young skilled workers took place in Salzburg. At the end of November the Plansee Hard Coating Technical Seminar took place in Shanghai, China. 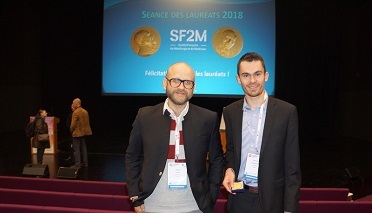 On November 21st a ceremony for awarding the Pierre Veyssiere Medal took place at the Material Science International Conference (Matériaux 2018) in Strasbourg. 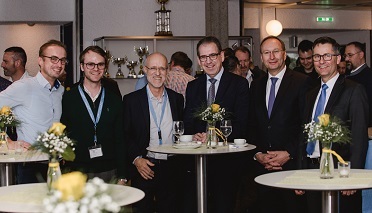 "We were able to set a whole series of records," said Bernhard Schretter of the Executive Board of the Plansee Group in his welcoming address at the annual long-service anniversary celebration. 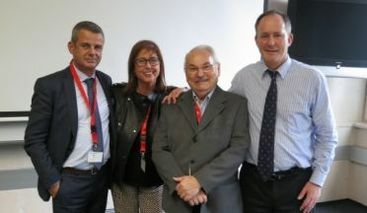 The Executive Board of the Plansee Group presented the Group Pin to Christine Toufar. The Pin is awarded when an employee of the Plansee Group transfers into another division, works there for a minimum of two years, and makes the new location his or her primary place of residence. 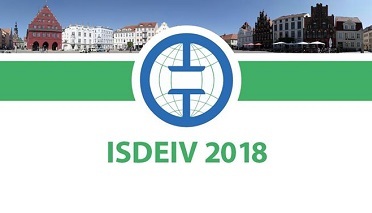 Meet us at the “28th International Symposium on Discharges and Electrical Insulation in Vacuum” from 23rd until 28th of September 2018. Visit us in Madrid from 23rd to 28th September 2018. 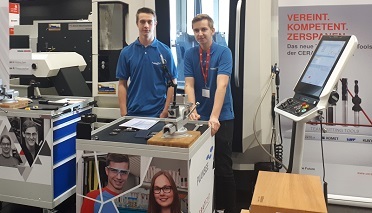 The apprentices welcoming event provided the opportunity for the training team at Plansee and Ceratizit to greet 43 new apprentices – more than ever before. A good third of them are young women. 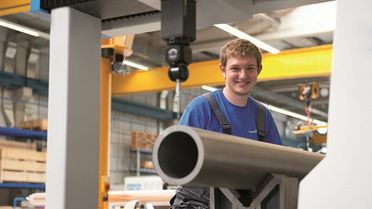 This means that Plansee is currently training a total of 159 apprentices in six different professions. Twelve of these are external apprentices attending vocational school. From all over the world, experts for displays come together at the Touch Panel and Optical Film Exhibition in Taiwan at the end of August. 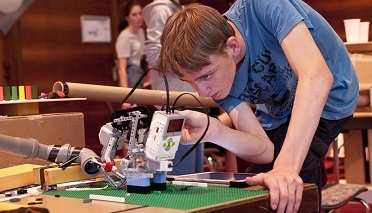 Plansee will also be participating again this year and presents a new booth concept. In addition to rotary and planar targets used for PVD coating, the focus this year is on MOCVD equipment for LED production and products for energy gerneration and storage. 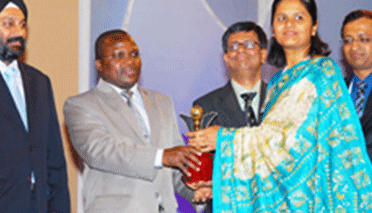 Recently our location in India received two awards for its export performance. 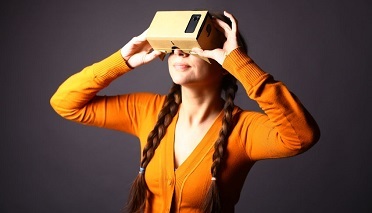 15-18 year-olds spend a week exploring the top trends in digital technologies. The anniversary was formally celebrated together with customers, business partners and staff. 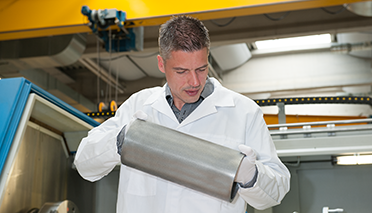 In conjunction with Oerlikon Surface Solutions AG and the Institute of Materials Science and Technology at the Vienna University of Technology, Plansee Composite Materials GmbH is carrying out research into improved coating materials at one of the Christian Doppler Laboratories. 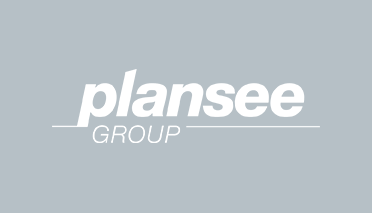 In the 2017/18 fiscal year ending on 2/28/2018, the Plansee Group achieved consolidated sales of 1.3 billion euros. This marks an eleven percent year-over-year increase (1.17 billion euros). 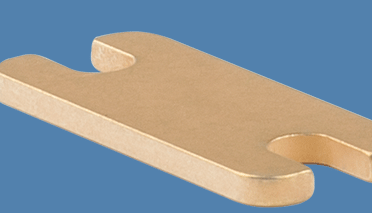 Plansee sputtering targets are now available in even longer sizes: in glass formats of Gen 10.5 and Gen 11. 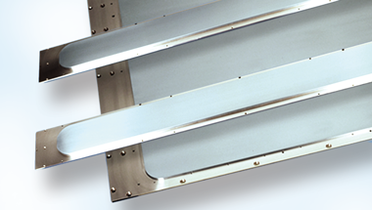 Our sputtering targets are a huge 3.4 meters in length and can, of course, be supplied across the globe in the quality you have come to expect from Plansee. 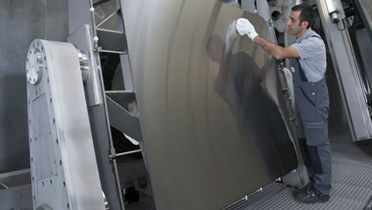 In a collaborative effort with the University of Leoben, new Mo-Ti-Al films have been developed that are both oxidation-resistant and easily etched. 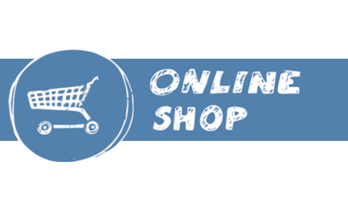 To further increase customer service, we have made numerous improvements to our online shop. The International Conference on Metallurgical Coatings and Thin Films (ICMCTF) is the premier international conference on thin-film deposition, characterization, and advanced surface engineering. This year Plansee will be again exhibiting and presenting the newest products. Plansee awarded for a good, reliable cooperation in 2017. 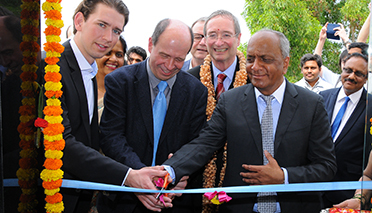 Plansee started its activities in India 30 years ago - a success story. 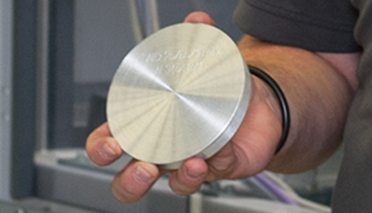 Tests in the Christian-Doppler-Laboratory at the Vienna University of Technology investigated the fracture toughness of Ti-Si-N coatings, produced using special Ti-TiSi2 targets from Plansee Composite Materials GmbH. 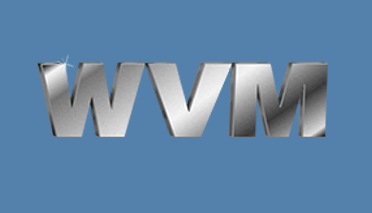 Laboratory tests carried out at the Vienna University of Technology to develop new PVD coatings for wear protection applications prove that Mo-alloys significantly reduce wear during machining. Through our procurement strategy, we offer our customers a reliable supply coupled with price stability. Ti-Al-N/Mo-Si-B multilayers are highly temperature and oxidation resistant and are therefore an excellent coating for mechanical engineering parts. Do different reduction conditions influence the morphology of molybdenum powder? Which role are temperature, dew point, hydrogen content and the flow rate of reduction gas playin in this process? 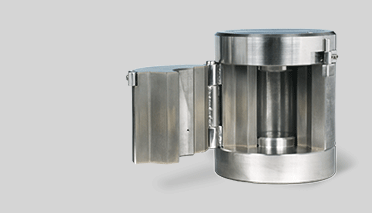 Inertia rotary friction welding is an established industrial process for joining small TZM components. 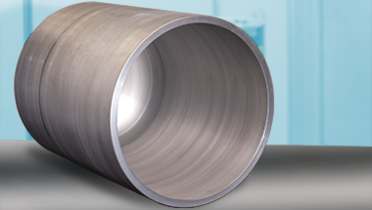 Now this process was used to weld tubular components of pure molybdenum. Measurement of the magnetic properties is well-established to non-destructively monitor composition and microstructure of cemented carbides. 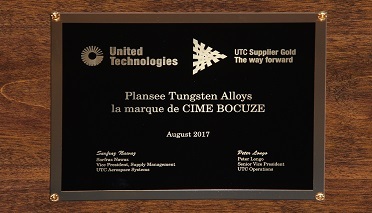 A great triumph for the team from Plansee Tungsten Alloys in France: receipt of the "Gold Supplier Award" from UTC Group - Aerospace System Division (UTAS). 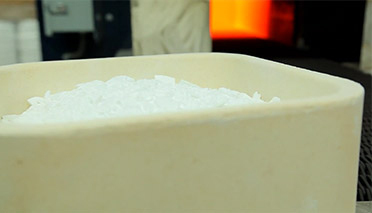 For high temperature applications, such as lighting components or heating elements, the thermal emissivity of refractory metals such as tungsten can be improved by altering the surface of the material. Cold spraying is a promising approach for the processing of refractory metals. 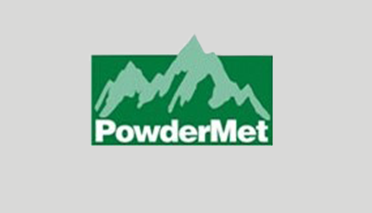 The finite element analysis and the discrete element method for simulating the powder compaction. In the field of thermal management of gallium nitride based electronic devices, molybdenum-copper-composites play an important role. Selective Laser Melting (SLM) offers great potential for the processing of molybdenum as it allows the production of parts that can hardly be fabricated in a classical way. Thoriated tungsten is the state-of-the-art cathode material for short arc lamps used in cinema lighting and semiconductor lithography. But the radioactive nature of thorium is driving the development of a substitute. 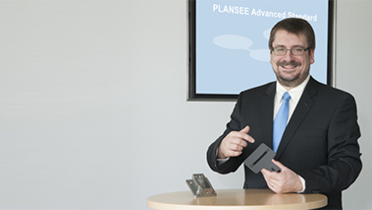 The ITM interconnect supplied by Plansee was an important component in the planar solid oxide fuel cell developed at the Jülich GmbH Research Center. The system has now been running and producing electricity for 10 years and over its entire service life to date, it has exhibited only a very low level of aging of approximately 0.6% per 1,000 operating hours. A further development to the stack in 2010 provided even better results: Over 34,500 hours of operation, it aged only half as much. 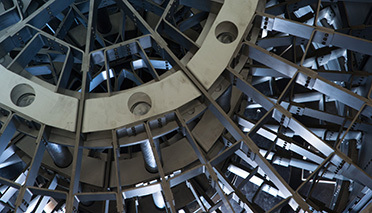 High-temperature refractory metals such as molybdenum- and tungsten-based materials are essential in today’s sapphire crystal growing technologies and are widely used for crucibles, hot-zone shieldings or heaters. In the 2016/17 fiscal year, which ended on 28 February 2017, the Plansee Group achieved consolidated sales of 1.17 billion euros. Dr. Michael Schwarzkopf, long-standing Chairman of the Plansee Group Executive Board, has moved to the Supervisory Board. His former colleagues on the Executive Board, Bernhard Schretter and Karlheinz Wex, are now leading the Plansee Group together with immediate effect. 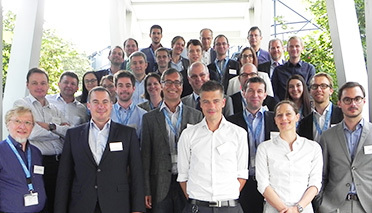 The 19th Plansee Seminar in Reutte: A highlight for experts in the fields of carbides and refractory metals. 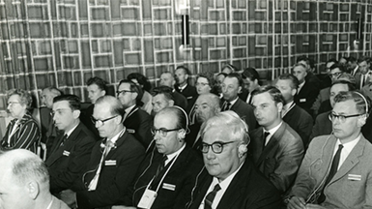 It was back in 1952 that Professor Paul Schwarzkopf invited researchers and industry experts to the first Plansee Seminar. Since then, the sector has come together every four years, and the meetings have evolved into one of the largest conferences for researchers and industry experts in the field of refractory metals and carbides. In March 2017, Convion took its C50 biogas system into operation. 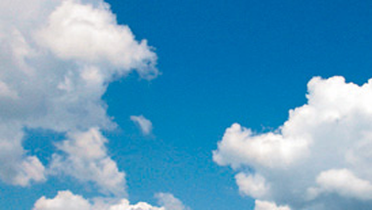 In initial trials, the system achieved a net AC efficiency in excess of 55 %. Fitted with an exhaust gas recovery unit, the Convion C50 is able to achieve an overall efficiency of more than 82 %. At the heart of the plant lie the MK351 stacks developed by Plansee and Fraunhofer IKTS. This week GTP hosted the annual TI-CMC board meeting in Towanda. 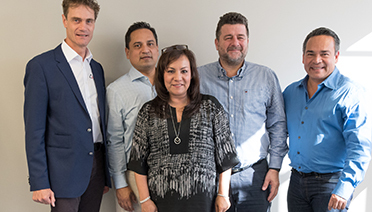 Board members from 4 smelters and representatives from the Refractory Metals Association (RMA) attended the Board meeting. The Vienna University of Technology has published new findings on wear-protection coatings based on aluminum-chromium oxides: A small amount of iron makes the coating even more resistant to wear. 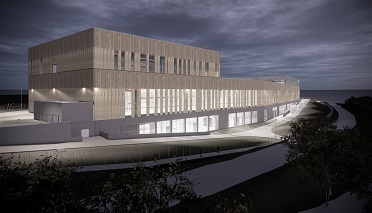 Plansee is investing ten million euros in the construction of a new production line for medical engineering products. 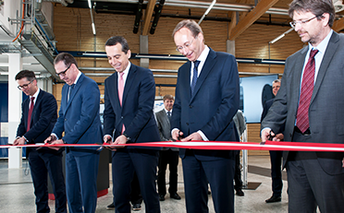 The official launch of this largest single investment at the Breitenwang/Reutte site in 2017 took place today in the presence of Austrian Chancellor Christian Kern. 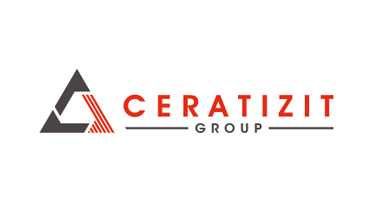 After the acquisition of Becker Diamantwerkzeuge (diamond tools), Ceratizit now takes over the US manufacturer Best Carbide. This is already the second takeover in 2017. On January 9, 2017, the Ceratizit Group has acquired the German company Becker Diamantwerkzeuge. 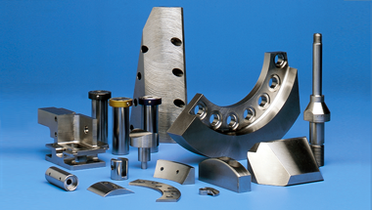 Becker produces extremely wear resistant tools for the automotive, mechanical engineering, medical technology, and aerospace industries. 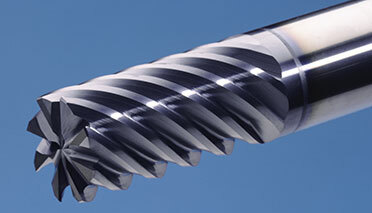 Nitride hard coatings made from titanium aluminum nitride (TiAlN) protect drill bits, milling cutters and indexable cutting inserts against premature failure due to wear. Now, small quantities of tantalum improve the thermal stability of these adherent layers still further. 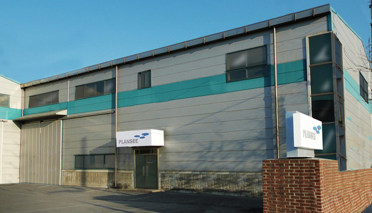 For seven years Plansee is coating samples for its customers in an own PVD applications laboratory. Recently the 10.000th sample was produced for a display manufacturer in Asia. 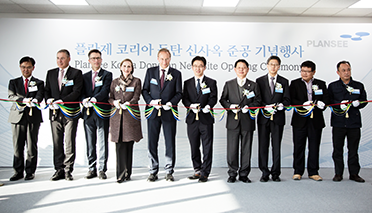 On 3 November, Plansee Korea opened a new plant. 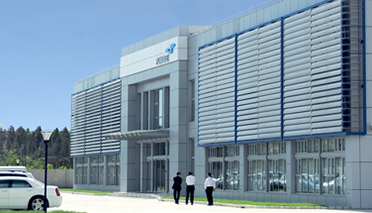 The factory is located close to big customers in the industrial park Dongtan, in the South of the capital Seoul. 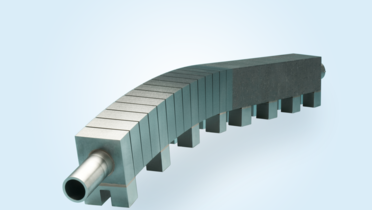 All-metal hot zones from Plansee are used at high temperatures of over 1,000 °C / 1,832 °F. 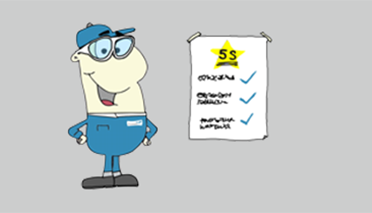 Three newly developed equipment packages cover the very differing requirements of plant operators. An online configurator gives potential buyers immediate access to prices, energy consumption values and equipment features. 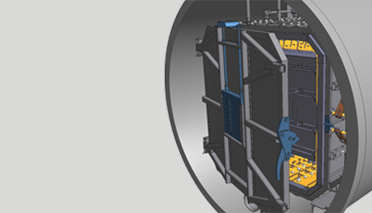 As part of the MeStREx (Metallic Stack for Range Extender) research project, Plansee is working together with partners from industry and research on an innovative "range extender". It is designed to convert ethanol based fuels to electric power extremely efficiently, and is intended to allow the battery packs to be recharged autonomously and continuously, far from any external source of electrical power. Plansee is keeping on the ball in the flat panel display industry with new materials developed especially for their customers. This is something that came out clearly at the latest Plansee Networking Forum. Researchers from a variety of disciplines presented the latest technology used in developing new sputtering targets for the display industry. 594 x 631 mm? Certainly! 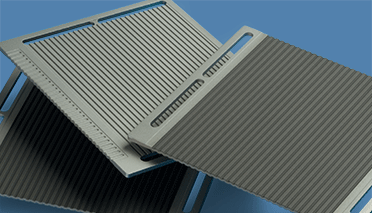 Economy sheets from moly and tungsten are now available cut to size. 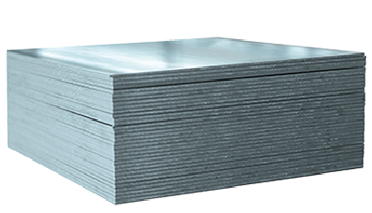 In its Webshop, Plansee offers especially attractively priced economy sheets of molybdenum and tungsten. The sheets are available in standard sizes and can now also be supplied cut to size. From all over the world, experts for displays come together at the Touch Panel and Optical Film Exhibition in Taiwan at the end of August. Plansee presents sputtering targets for UHD displays and touch screens. In the 2015/16 fiscal year, which closed on February 29, 2016, the Plansee Group achieved consolidated sales of 1.18 billion euros. 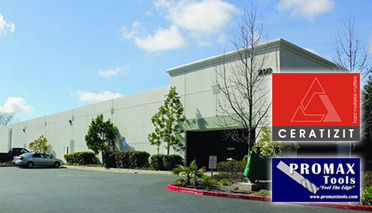 Significant investments were made in expanding existing sites and acquiring new ones. Research project on Industry 4.0. Shaping the future together! A team of partners from five European countries, led by Infineon Austria, have joined forces in the "SemI40" research project to work on further development of the autonomous factory. And Plansee SE is part of the team. Stay flexible! New research findings on the fracture behavior of molybdenum films. Molybdenum thin films in flexible solar cells and displays need to be flexible without fracturing. 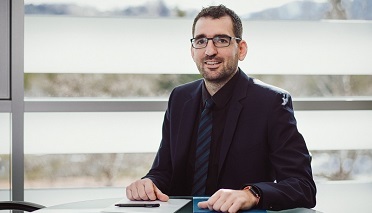 In cooperation with the Montan University in Leoben, Plansee is working on improving the ductility of molybdenum and has already been able to achieve some important successes. The findings of this collaboration will be showcased in a poster presentation at the EUPVSEC Conference on 22 June. 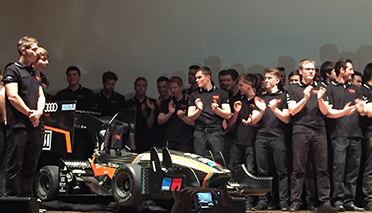 The Plansee Group supports the TUfast Racing team from the Technical University of Munich and produces various components for the gasoline-powered race car. 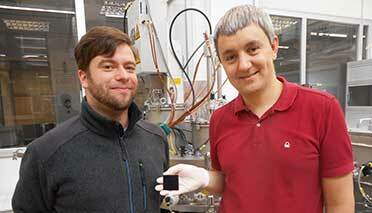 MoCu30 is a material that reliably dissipates heat in semiconductor packages. Sheet made from this material is now available from our "Plansee Express" online shop. Plansee at the Hannover "Hydrogen + Fuel Cell" trade fair. This year, Plansee will once again be showcasing its innovative interconnects for fuel cells at the Hannover trade fair. 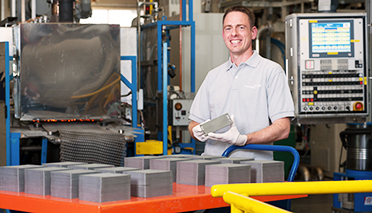 With interconnects Plansee produces vital components in SOFC fuel cells and thus makes a decisive contribution to the further development of this technology in both mobile and stationary applications. 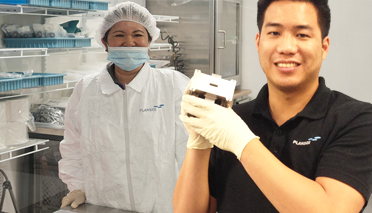 Having opened their own sales office in Seoul 12 years ago and after acquiring a Korean company five years ago, Plansee is now further expanding its production capacity in Korea. Mid-March, 2016, saw the ground-breaking ceremony for the construction of their own production facilities. Plansee will present its impressive developments in the field of ceramic target materials at the ICMCTF (International Conference on Metallurgical Coatings and Thin Films), which will be held from 25 – 29 April 2016. Raw materials are the future! 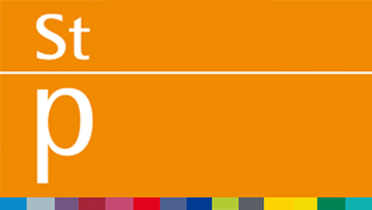 From the 1st of March through to the 31st of May 2016, the Montana University in Leoben will again be welcoming visitors to the "Rohstoffe sind Zukunft" exhibition. 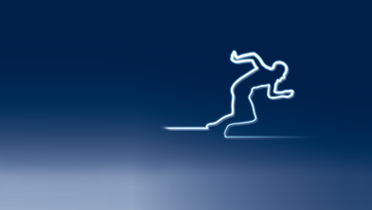 X-ray technology: A refractory metal innovation for every system. 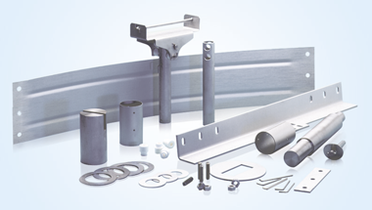 Plansee has made a name for itself as a reliable, neutral development partner for refractory metals in the field of medical engineering. Let us show you some examples. 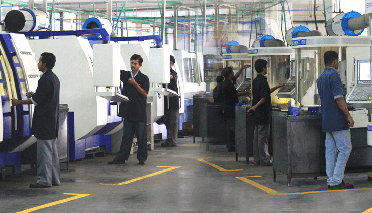 Plansee High Performance Materials (HPM) has opened a new production line in Mysore today. Here components and spare parts are produced for semiconductor manufacturing. Production of CIGS solar modules – What's new in basic research? The Munich University of Applied Sciences has conducted in-depth investigations into the ablation mechanism for molybdenum during the CIGS production. Up to now, it had been assumed that a rapidly expanding gas is responsible for removing material from the rear. The research findings refute this model. Molybdenum and tungsten: Our metals show their new facets. 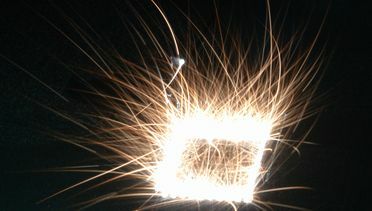 The early industrial exploitation of our metals was a hot affair, namely as filaments in lights at the beginning of the 20th century. Plansee's product range has grown enormously since then. 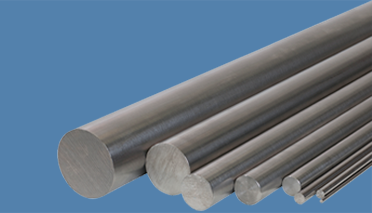 Their high melting point means that molybdenum and tungsten can nowadays be found in virtually all high-temperature applications. But for many branches of industry, it is other properties of the materials that are becoming ever more interesting. Our new heating element designs and patented coatings allow us to help increase service life and improve productivity in the MOCVD process. David Lang is a PhD student at the University of Leoben and has worked closely with Plansee for many years during his research. 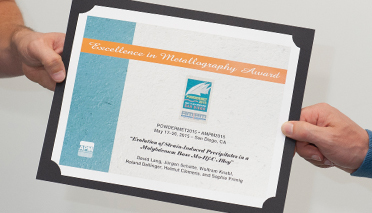 Together with his co-authors, he was awarded the Grand Prize of Excellence in Metallography during the international powder metallurgy conference Powdermet 2015 for the paper "Evolution of Strain-Induced Precipitates in a Molybdenum Base Mo-Hf-C Alloy". 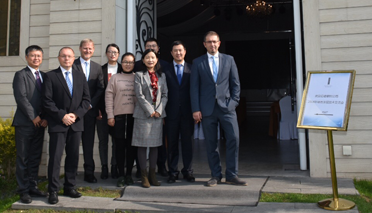 The two production sites Seon and Shanghai of the Plansee BU Power T/D have achieved to become "preferred supplier" of the customer Schneider Electric for the fifth time in a row. GTP, the tungsten powders division of Plansee Group, has recently started receiving tungsten ore concentrate from the Drakelands Mine in Hemerdon/England. 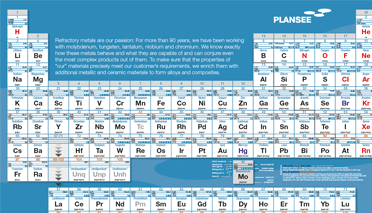 Plansee now offers molybdenum and tungsten sheets in three separate categories. 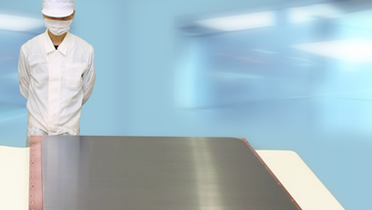 Not every application for molybdenum and tungsten sheets has the same material requirements. 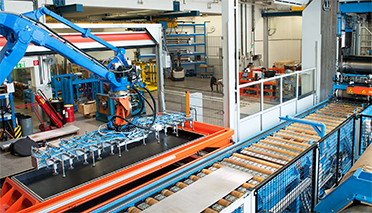 Plansee customers now have the opportunity to choose the perfect sheet for their application. The new quality levels are Economy, Standard, and Premium. Ceratizit, the hard materials specialist within the Plansee Group, has acquired a majority share in Indian solid carbide tool manufacturer Cobra Carbide. 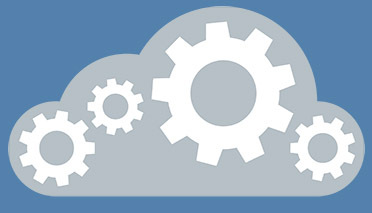 Reliability and innovation are the hallmarks of systems from Avure. Each and every component has to deliver high performance and a long service life, particularly in the face of increasingly demanding operating conditions, such as those found in hot isostatic presses (HIPs): In order to increase productivity, operators are striving to maximize the loads they handle in their systems. New processes often run at very high operating temperatures. And the entire system must be designed to cope with such conditions. 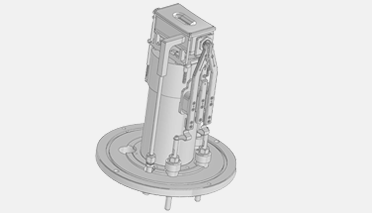 At gas pressures of up to 2000 bar in the pressure vessel, there is pretty well no room for tolerances. Time and again, Avure have pushed the boundaries of technical feasibility for their customers, developing systems that deliver a genuine competitive edge. 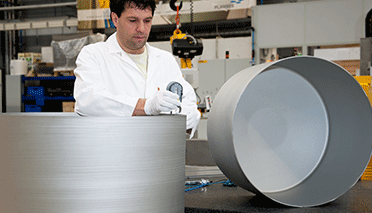 When it comes to system components made from refractory metals, Avure have for many years put their faith in Plansee as a reliable partner. New research findings: Enhanced efficiency of CIGS cells with MoNa sputtering targets. Small quantities of sodium in the CIGS absorber improve the efficiency of a CIGS cell. Research findings from the Helmholtz-Zentrum Berlin (HZB) confirm that MoNa sputtering targets are particularly suitable as a sodium source for CIGS thin-film solar cells. Plansee Group increases sales again. The Plansee Group increased consolidated sales in the fiscal year 2014/15, which ended on 28 February 2015, to 1.26 billion euros. Thin and medium-thickness sheet is now even cheaper. 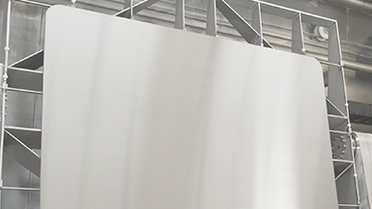 Plansee uses modern rolling mills to produce the world's largest molybdenum, tungsten, tantalum and niobium sheets. New investments mean that customers will immediately benefit from cost savings, which Plansee will also be passing on in their Web shop, Plansee Express. Convion LTD, Fraunhofer IKTS and Plansee SE have one common goal: to contribute to the breakthrough of SOFC technology as a future form of affordable, reliable, and clean energy. From interconnects, through ready-to-install stacks up to SOFC systems they present their products and services at this year’s Hannover Fair, April 13-17, 2015. 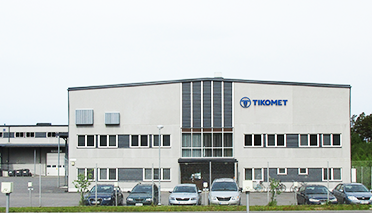 Global Tungsten & Powders (GTP), the tungsten powders division of Plansee Group, acquires Tikomet Oy. 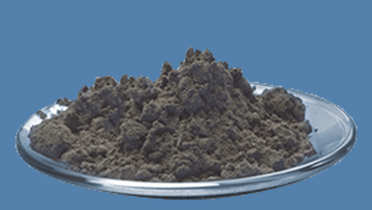 Tikomet is one of the leading producers of reclaimed hardmetal powders. 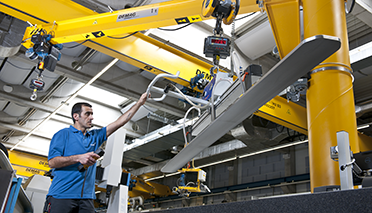 Ceratizit, the hard materials specialist within the Plansee Group, has acquired the German tool manufacturer Klenk. The GSD is a popular implanter system from Axcelis. Plansee stocks the appropriate implanter sources for all generations of GSD systems. Feedback from many users over the past years has shown that the standard source has plenty of room for improvement. 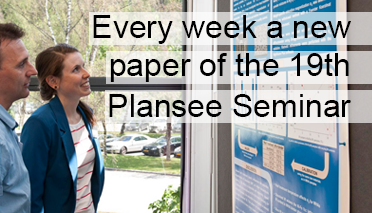 Thus, Plansee has improved the source by increasing both its lifetime and efficiency. This redesign allows it to be used in any existing systems without any complications. Presentation on vacuum coating in Regensburg. 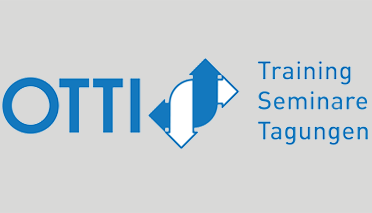 At the beginning of February, the Eastern Bavarian Technology Transfer Institute (OTTI) will once again be inviting participants to come to Regensburg for a two-day user forum on vacuum and thin-film technology. And, once again, Plansee will be there. Recently the Christian Doppler laboratory for the improvement of solid oxid fuel cells opened up at the Forschungszentrum Jülich. 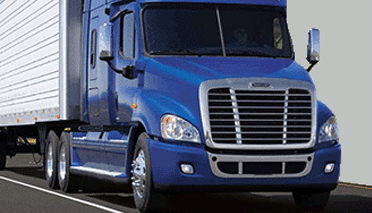 In trucks solid oxid fuel cells convert diesel into electrical current. 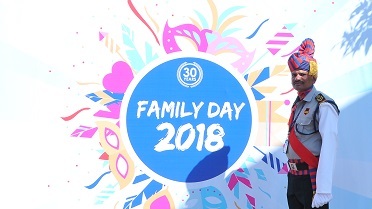 Our colleagues at the Esashi plant in Japan recently had cause to celebrate. It was 25 years ago that production of molybdenum and tungsten products started there under the leadership of Noriaki Nakayama and Masashi Tsuchiya. Breitenwang/Reutte, 25. November 2014 – Ceratizit Italia will take over the Italian drawing tool manufacturer VAN-Dies at the end of the year. David Lang wins EPMA Thesis Competition. 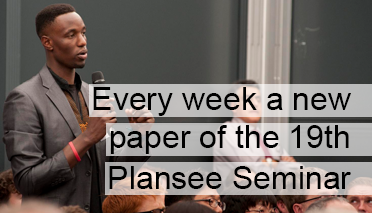 The thesis focused on Plansee's material MHC. Glass melting electrode with new cooling system. Plansee presented a new cooling system for molybdenum electrodes at the Glasstec trade fair in Düsseldorf. It is intended to protect against premature boiling water corrosion. 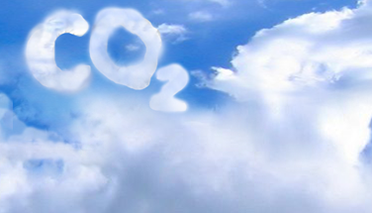 260 tonnes of carbon dioxide already saved with new heat pump. Molybdenum and tungsten have an extremely high melting point. The very thing that makes our metals so outstanding in use also means that the manufacturing process demands considerable amounts of energy. And yet, in many companies, excess heat is simply wasted. But not at Plansee. 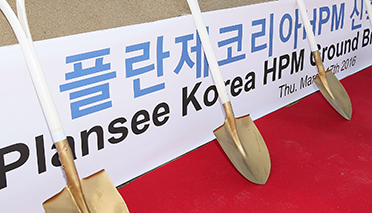 The Plansee Group is building a new plant in South Korea. Today, Plansee and the political representative of Gyeonggi-do province signed a corresponding memorandum of understanding in Reutte. 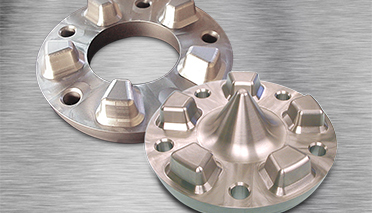 The foundry industry generally uses steel molds for casting aluminum parts. 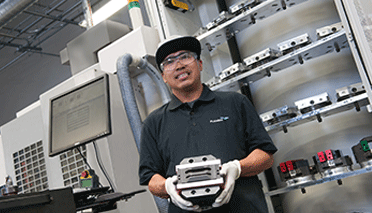 Manufacturers have to work on reduced cycle times to stay competitive. This is where the properties of steel reach their limit and tungsten comes in. 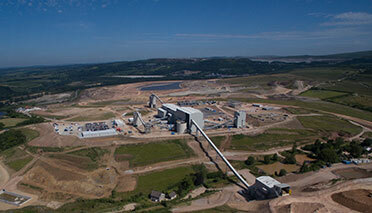 Plansee supports the Tungsten Industry Conflict Minerals Council. 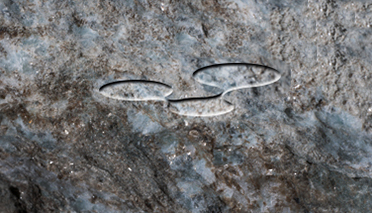 Plansee has been a supporter member of the Tungsten Industry Conflict Minerals Council (TI-CMC) since September. The working group is an initiative of the tungsten industry dedicated to promoting greater transparency in the realm of tungsten procurement. 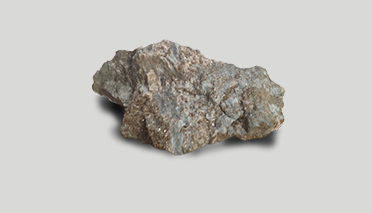 Tungsten from TI-CMC-compliant companies is only procured from responsible, conflict-free sources. Andreas Feichtinger talks about conflict minerals and the importance of having a sustainable supply chain. Meet us at the Fabtech! The Fabtech in Atlanta is the largest exhibition on the latest technology in the metal forming, fabricating, welding and finishing industries. 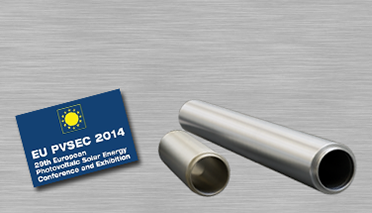 This year Plansee will be exhibiting and presenting its TIG and resistance welding electrodes made of tungsten. 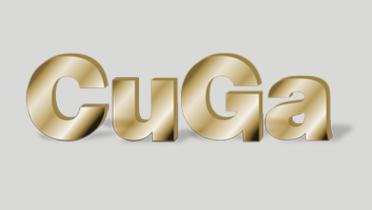 Molybdenum-potassium (MoK) sputtering targets or sodium-doped CuGa targets: Our materials experts are constantly involved in basic research into the manufacture of thin films. You can find out about our latest research findings at a poster presentation at the 2014 EU PVSEC Conference in Amsterdam. 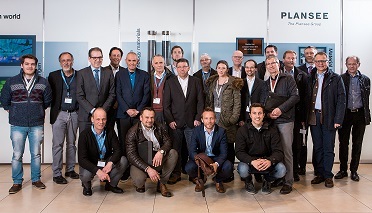 Plansee’s new cold-rolling mill represents a technological milestone in the cold forming of molybdenum sheet. 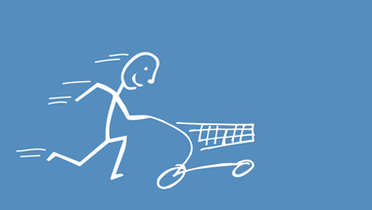 The Plansee HPM Group improves its customer service with shorter, guaranteed delivery times. Global Tungsten & Powders, a division of the Plansee Group, has entered into a strategic partnership with Umicore for tolling GTP’s cobalt intermediate material. A manufacturer of switchgears tested our back cast electrodes for resistance welding. The result: Due to the seamless joint with the electrode holder, back cast electrodes have a substantially longer service life than their soldered alternative. 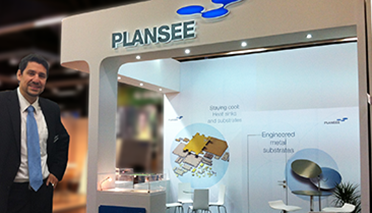 Plansee presents thin-film materials at the Touch Taiwan. 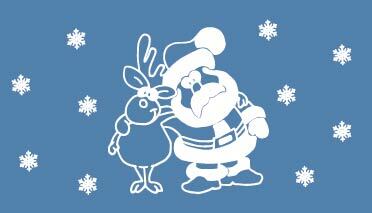 Tomorrow's energy-efficient window goes under the name "smart window". Made from electrochromic glass, the window darkens at the touch of a button or fully automatically to prevent buildings from becoming too hot. Continued growth for the Plansee Group. In the 2013/14 fiscal year (ending February 28, 2014), the Plansee Group increased its sales volume by 17 percent and realized sales of 1.2 billion euros. The Group made investments of 280 million euros. Intelligently coating moving components reduces friction in vehicles and paves the way for additional efficiency measures. 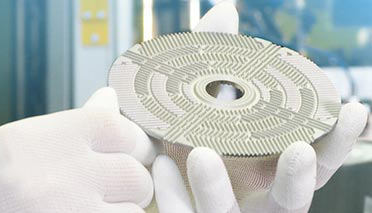 Plansee develops selective laser melting process for refractory metals. Simply “print” complex shaped components? Following the model of the 3D-printing process of plastics, Plansee has now developed a selective laser melting process for refractory metals. The first components have already been delivered to customers. Strong tungsten alloy for the foundry industry. The Aalen Foundry Colloquium, hosted by Aalen University in Germany on the 7th and 8th of May, was all about innovations in die casting. Results of our customer survey 2013/14. 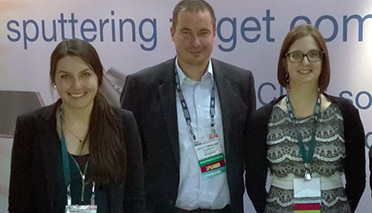 Meet our materials experts at PCIM Europe. 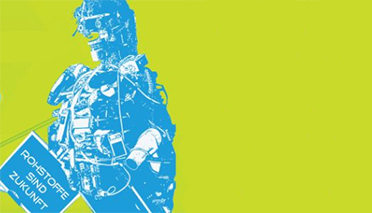 Between the 20th and 22nd of May, 2015 everything revolves around power electronics at the PCIM. 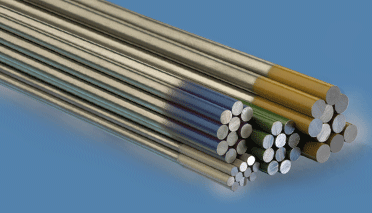 Our molybdenum, tungsten, molybdenum copper and tungsten-copper (WCu). 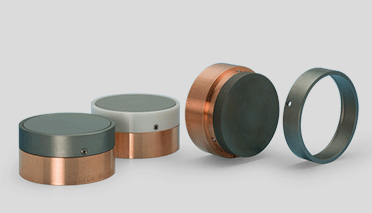 components for reliable heat dissipation in semiconductors will be there too. Well done! 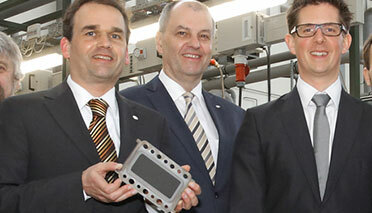 Plansee Electro-Graph receives 5S award. Well-organized workflows in production and administration provide an ideal environment for doing a job well. 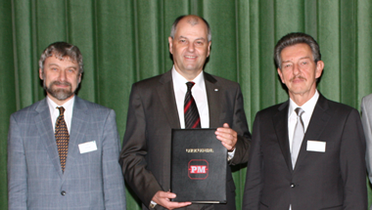 Our Plansee Electro-Graph plant recently received recognition for its lean processes. 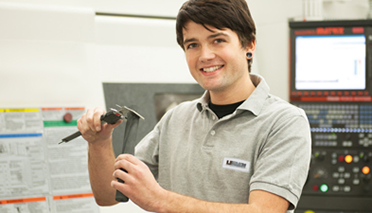 Breitenwang, Reutte, Austria, April 11, 2014 – Ceratizit, the Plansee Group’s carbide specialist, has acquired a majority interest in Californian tool manufacturer Promax. 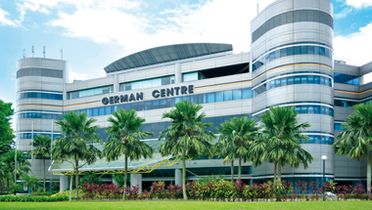 Plansee opens new representative office in Singapore. With more than 600 million inhabitants and constantly high growth rates, Southeast Asia has become an interesting location for international business. And now, the materials specialist Plansee has opened its own office in the heart of Singapore. 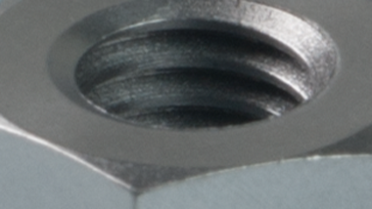 No wear in the nozzle: TZM for plastic injection molding. Small quantities of titanium and zirconium improve the dimensional stability of molybdenum at high temperatures. But it is not only at temperatures above 1000 °C that the properties of the TZM alloy prove their worth. One important application is plastic injection molding. 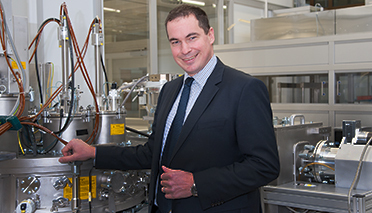 Boosting the efficiency of CIGS by optimal use of MoNa sputtering targets. 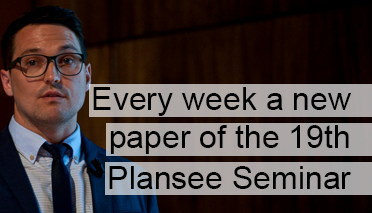 Together with Plansee, the Laboratory for Thin Films and Photovoltaics at the Swiss Federal Laboratories for Materials Science and Technology (Empa) investigated the ideal sputtering parameters for achieving high efficiency of CIGS cells. Mastery over our metals: Tools made by Plansee. 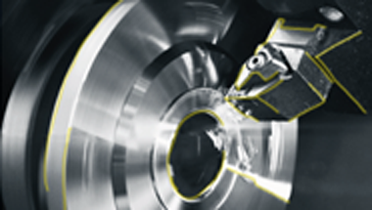 Our tools do not have it easy: After all, it is their unenviable task to machine molybdenum, tungsten and tantalum. And these belong to a group of materials known as refractory metals, a thoroughly apt name, as they are extremely difficult to machine. Ion implantation: Ideal extraction assembly for VIISta HCP, HCS, Trident, and NexGen. Plansee develops improved replacement parts from refractory metals, graphite, and ceramic for ion implanters from all major manufacturers. The latest development: an assembly for VIISta HCP, HCS, Trident, and NexGen configured systems. 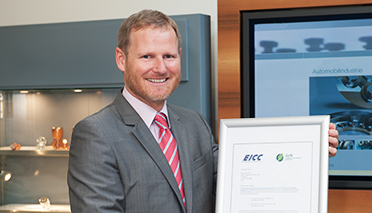 Conflict-free tungsten procurement confirmed by EICC/GeSI. 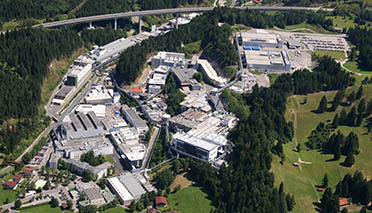 Following an audit conducted in December 2013, the audit committee of the Electronic Industry Citizenship Coalition (EICC) and the Global e-Sustainability Initiative (GeSI) has confirmed that Global Tungsten & Powders (GTP) – a division of the Plansee Group - does not process any tungsten sourced from conflict region. GTP is the world's first tungsten producer to receive this certificate. 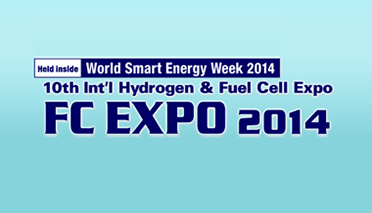 The International Hydrogen & Fuel Cell Expo in Japan is Asia's premier forum for sharing information in the field of hydrogen and fuel cell technology. Once again, Plansee will be there to present its SOFC interconnects. 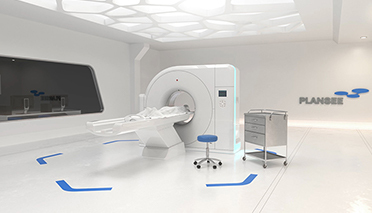 RSNA: New trends in x-ray imaging. 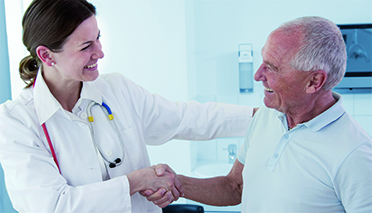 Thousands of registered visitors attended the 99th Scientific Assembly and Annual Meeting held by the Radiological Society of North America (RSNA) 2013 in Chicago. 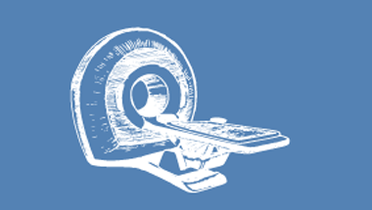 This congress is seen as a barometer for trends in imaging technology in medical science. Our "trend scouts" Dr. Wolfgang Glatz, Thomas Müller and Rick Dahlquist were there. Heike Larcher about refractory metals in LED production. 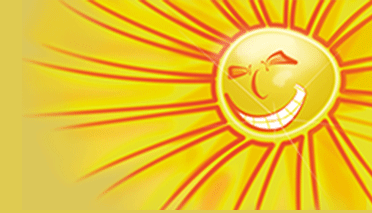 Their high temperature stability, a perfect coefficient of expansion, an incomparable purity. 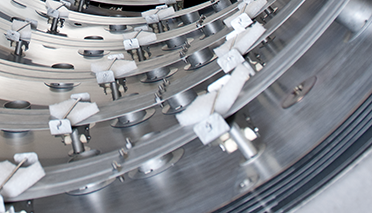 Heike Larcher knows that the special characteristics of our metals make them indispensable for the production of LEDs. New insights into the oxygen content of copper-gallium thin films. The residual gases in the vacuum equipment during the sputtering process determines the oxygen content of copper-gallium precursor layers much more than the target material itself. Read more about this result from one of our research projects. 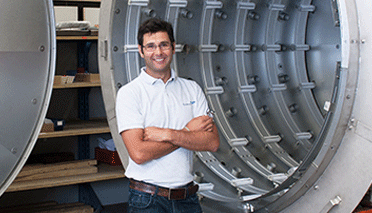 Allrounders in the world of materials: Thomas Granzer on refractory metal composites. In the search for the Holy Grail of the material that is fit for all purposes, it is the composite materials that come closest to the ideal. Thomas Granzer reflected on refractory metal composites and their benefits at the Dresden Materials Symposium. 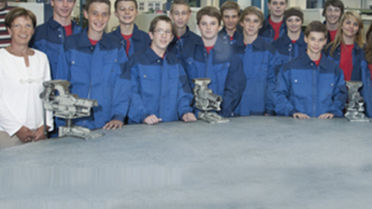 Open house of the Plansee Group's apprenticeship. Leaving school soon? 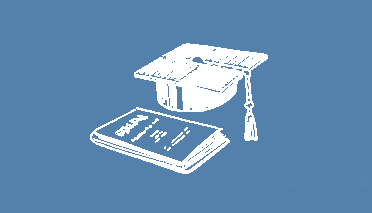 Learn about the start for professional technical trainings in September 2014. Practical guide to vacuum and thin-film technology. 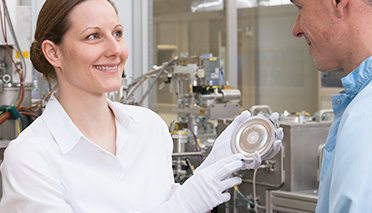 In November, the East Bavarian Institute for Technology Transfer will be conducting the user forum "Vacuum and Thin-film Technology". 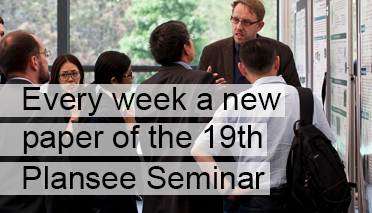 Dr. Jörg Winkler from Plansee will address the question of sputtering targets for thin-film technology. Harald Selb in the interview with Gary Thomas. 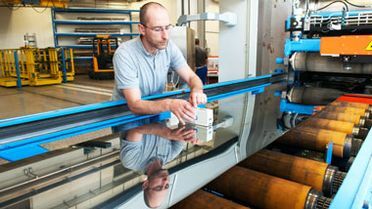 Find out what Harald says about the role of material purity in the production of touch panels. How the thickness of molybdenum films influences their properties. 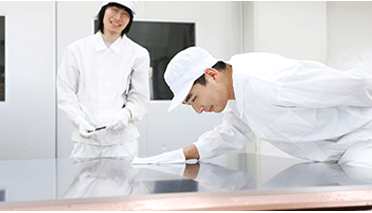 What influence does the thickness of molybdenum films have on their properties? The Faculty of Functional Materials at the Montan University in Leoben teamed up with Plansee to investigate this question in detail. And they found that grain size grows as the thickness of the film increases. However, resistivity and stress remain constant as of a film thickness of 1 µm. Research project for coating materials. 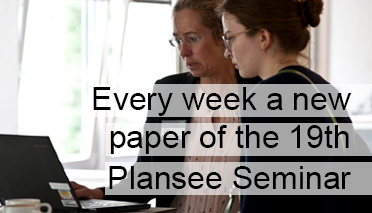 The Austrian Research Promotion Agency is providing support for a three-year development project conducted by Plansee. New Ion Source for Exceed IHC 9600 offers 30% Longer Lifetime. 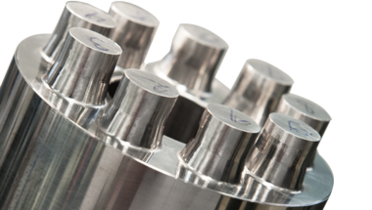 PLANSEE designs are made from high-performance metals, graphite, and ceramics and are available for most commercial ion implantation tools. 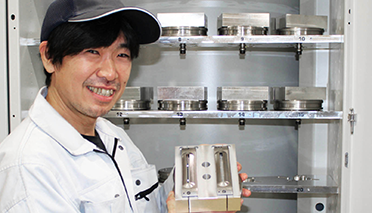 Our most recent development is an extended life ion source for the Exceed IHC 9600 implantation system from Nissin. 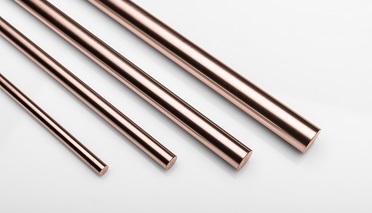 Electrodes made from tungsten-lanthanum or TZM with a copper shaft are suitable for the high stresses involved in resistance spot welding. 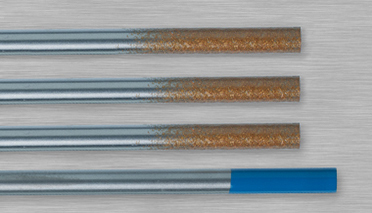 But cavities in the solder between the electrode and the shaft have a negative impact on the quality of the weld. 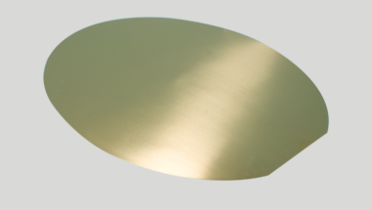 Ultra-pure sputtering targets for UHD screens. Transistors in ultra-high definition displays (4K2K) possess particularly fine structures. 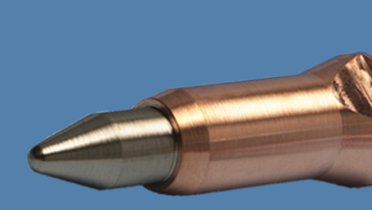 Only extremely pure sputtering targets can be used as input materials for the fine conductor paths. Check out our ultra-pure coating materials at the Touch Taiwan! Material tuning for ion implantation. How the properties of graphite and refractory metals improve system reliability and the lifetime of ion source and beamline replacement components. 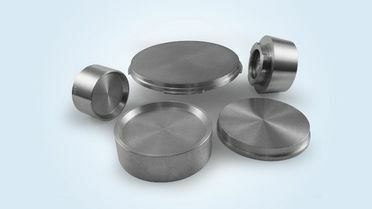 Densimet<sup>®</sup> tungsten heavy metal alloys now available online. As of today, Plansee Express will provide even more density with the addition of: Densimet® D176, D185ND and D2M. In the leading online shop for semi-finished high-melting metals, tungsten heavy alloys are now also available. Information on our tungsten supply chain. 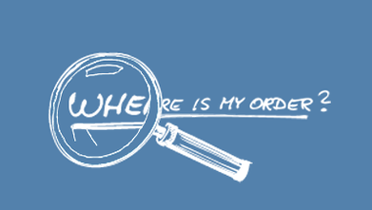 In light of recent reports suggesting that the integrity of our tungsten supply chain may have been compromised, we would like to share with you proactively our initial thoughts and findings. Second most successful year ever. The Plansee Group continues to expand. 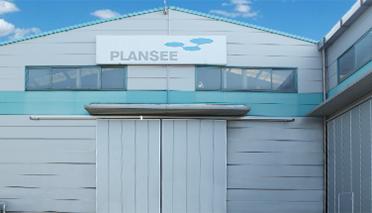 In spite of the flagging economy, the Plansee Group plans to continue expanding. At the same time, the company intends to become more productive and innovative. Towanda/Pennsylvania, USA, 2 July 2013 – Global Tungsten & Powders Corp. (GTP) has received information suggesting that the integrity of its tungsten supply chain in Colombia may have been compromised. Expat Award for Peter Aldrian. Our congratulations! 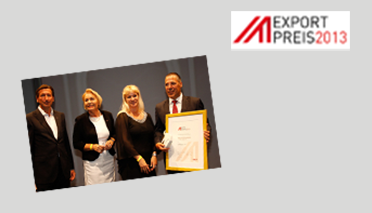 The "Expat Award" is presented by the Austrian Chamber of Commerce to recognize the achievements of successful Austrians abroad. 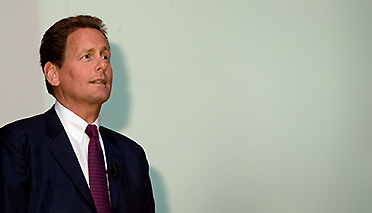 In 2013, the award went to Peter Aldrian – our Managing Director in Japan. 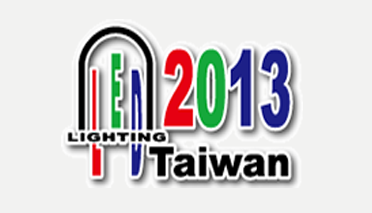 Manufacturers and suppliers of LEDs will be meeting at LED Lighting in Taipei from 18th to 20th June. Visitors are excited at the prospect of developments that will help reduce manufacturing costs. Doped tungsten doubles the lifetime. 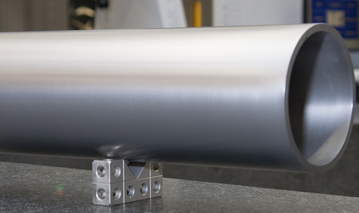 We use creep-resistant WVM to manufacture heaters for sapphire growth. These have more than twice the service life of conventional tungsten heaters. Your satisfaction – in black and white. 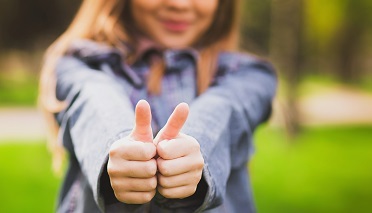 Many of our customers have appreciated our products and services for years. But, for us, that is not enough: now we have your opinion – in black and white. The "Enhanced Power Pilot Line" (EPPL) is one of the largest research undertakings being conducted in Europe. 32 enterprises and scientific institutes are involved – including PLANSEE. Opening of the world’s largest conference on powder metallurgically produced materials. 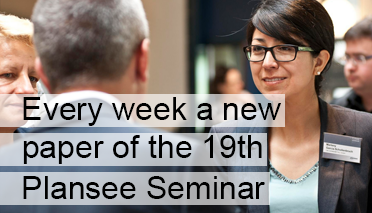 The 18th Plansee Seminar has opened today. Over 500 researchers and users from more than 30 countries will share insights into the future of manufacturing and unpublished research results. Plansee Seminar: Make your choice. 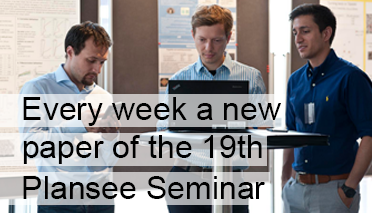 The 18th Plansee Seminar takes places from 3-7 June in Reutte. Will you be there? You can now create your own programme online. Plansee at the Semicon West 2013. 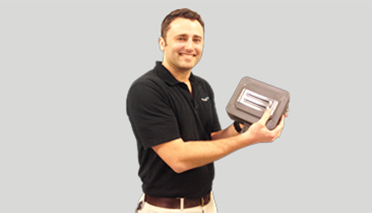 Anyone can produce exact copies, but our spare parts for ion implanters are more than just that. We will be presenting many of our cost-saving "Plansee Advanced Standard" graphite, refractory metal and ceramic products at Semicon West. Our metals and our team are all set to go for the 18th Plansee Seminar scheduled for the 3rd - 7th of June. And you? 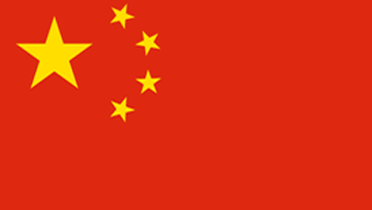 Come and meet our thin-film photovoltaics specialists from 14th to 16th May in Shanghai. Our monolithic rotary targets with a new inner-diameter coating will be there too. We end our production of thoriated (WT20) plasma spray electrodes. 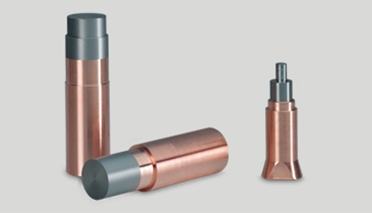 As of June 2014, Plansee will produce only environmentally friendly plasma spray electrodes made of tungsten-lanthanum (WL10). A scientific study has confirmed the excellent performance of these electrodes. Plansee will present its impressive developments in the field of ceramic target materials at the ICMCTF (International Conference on Metallurgical Coatings and Thin Films), which will be held from 29.4. to 3.5. 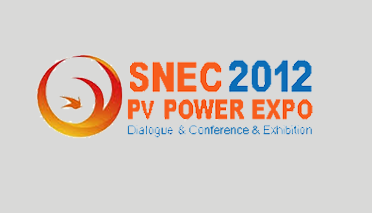 The leading actors in the power electronics industry will be gathering at the PCIM (Power Conversion Intelligent Motion) between 14th and 16th May 2013. 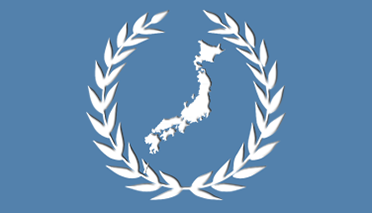 ようこそ! Now we can also welcome you in Japanese. 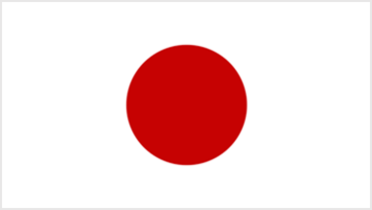 Our team from Plansee Japan is making sure that plansee.com now speaks even more languages. Meet us at the SVC TechCon in Rhode Island. 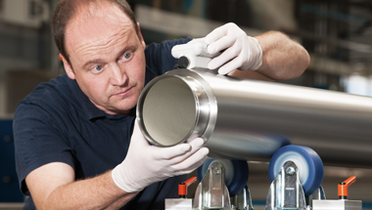 Our coating experts will be ready for your visit at the SVC Technical Conference between 23th and 24th April. 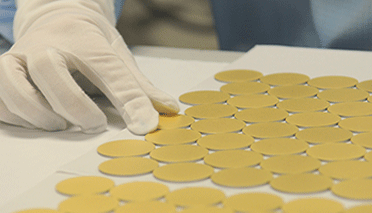 Learn more about monotlic rotary targets and CuGa sputtering targets for CIGS. Open sesame. MIM hot zone door operation - simplified. The hot zone's performance is just part of the story. Ease of installation and ease of use are also desired criteria for furnace operators. Plansee provides both. 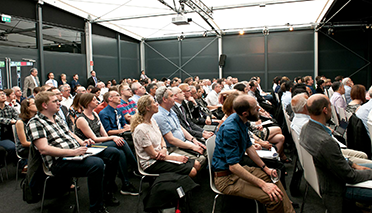 Academically examined and practically tested: Scientists and operators present new findings on Refractory Metals and Hard Materials at the 18th Plansee Seminar. We did it again: Plansee India receives the All India Star Performer award. 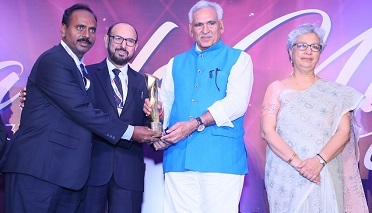 Plansee India received the All India Star Performer Award from the Engineering Export Promotion Council of the Indian Ministry of Commerce. 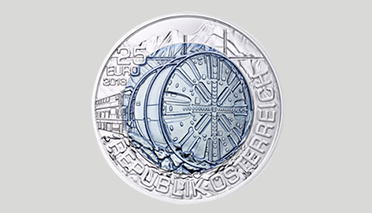 Every year, the Austrian Mint or "Münze Österreich" brings out a silver-niobium 25 euro coin. The niobium core of this collector's piece is produced by Plansee and is always presented with a different design and in a new color. 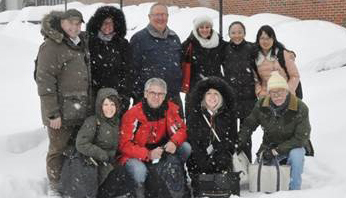 Our MSC cells on tour. In the future, our Metal Supported Cells (MSC) are to be used to transform energy in mobile applications such as in trucks. 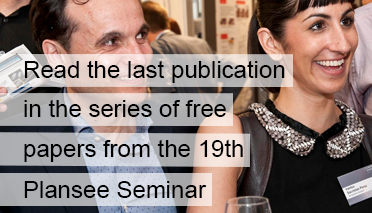 From April 8 to 12, they will be on tour with our experts at the Hanover trade fair. 你们好! Now we can also welcome you in Chinese. Our employee Phoebe Qian and her team are making sure that plansee.com now speaks even more languages. 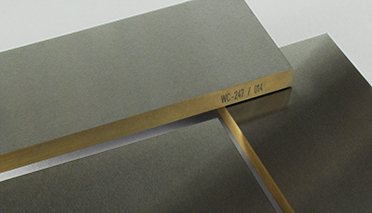 The future is golden: Plansee ceases production of WT20 welding electrodes. 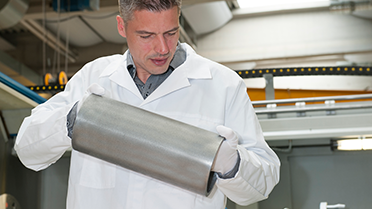 The independent German Federal Institute for Materials Research and Testing (BAM) has compared the thorium-free WL15 welding electrode with the earlier WT20 standard and has confirmed: WL15 is the high-performance, environmentally-friendly alternative. Plansee at the leading international MIM event! 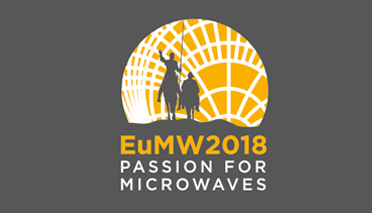 We will present our latest developments for metallic hot zones for the MIM industry. Companies throughout Austria have submitted more than 592 projects in their attempt to win the country's State Prize for Innovation. With our contribution to fuel cell technology, we made it through to the last six canditades. Cross your fingers for us! The representatives of the powder metallurgy world are meeting again. 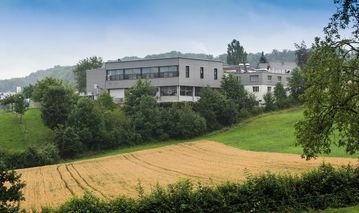 At our headquarters in Reutte. 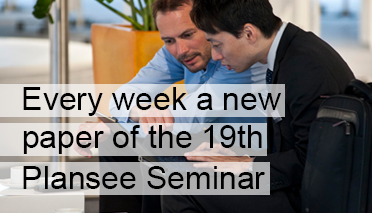 Enroll for the 18th Plansee Seminar until 5th April and save 15% on the registration fee. 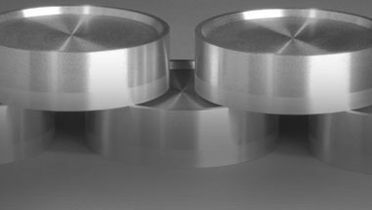 Article on MoNa sputtering targets published in "Thin Solid Films". The Swiss Federal Laboratories for Materials Science and Technology (Empa) have worked together with PLANSEE and prepared a scientific article on molybdenum-sodium targets. The text has been published in the journal "Thin Solid Films". 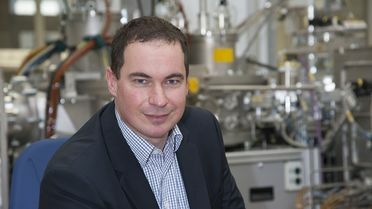 Dr. Lorenz Sigl has been awarded the Skaupy prize 2012 at the Hagen symposium in Germany in the end of November. With this award a committee of diverse powder metallurgy organizations honors the outstanding activities of Dr. Sigl in R&D and industry. 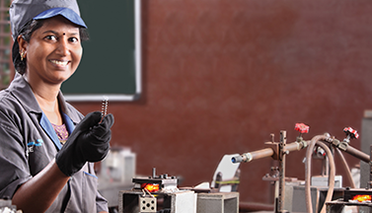 Needed: Metalworking technicians for a cutting edge assignment. Hi, girls and boys. Apply for one of our 32 apprenticeship places until February 28! 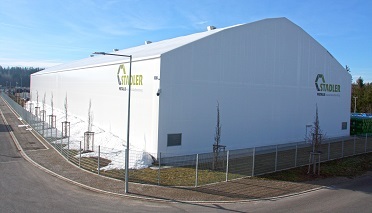 New production hall: More space for Plansee Composite Materials. 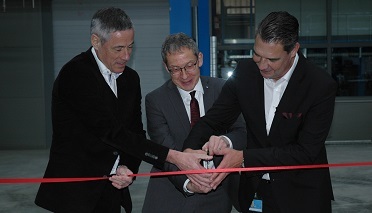 December 6 saw the opening of a new production hall at our Lechbruck (Germany) production site. 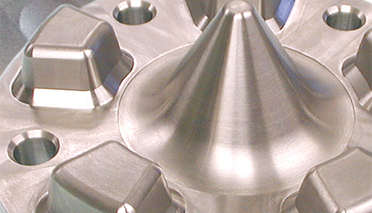 This will allow us to meet the high demand for high-precision components for medical technology. 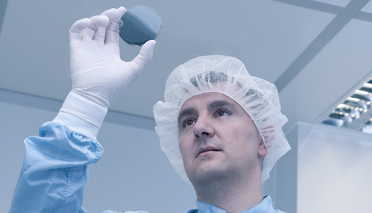 The tungsten alloy Densimet® reliably shields against X-rays and gamma radiation. 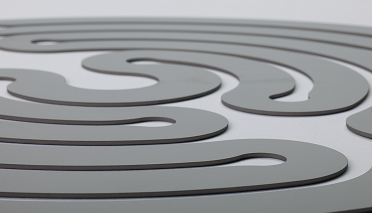 With its new production process and great expertise in the materials field, Plansee has made the manufacture of Densimet® shielding components particularly cost-effective. Do you know the electron configuration of molybdenum? Just look it up – simple and fast in our periodic table of elements. Scientific article on sputtering targets for CIGS. Our expertise in the field of coating materials for thin-film solar cells is once again set out in black and white and can be read in the latest edition of "Vakuum in Forschung und Praxis". 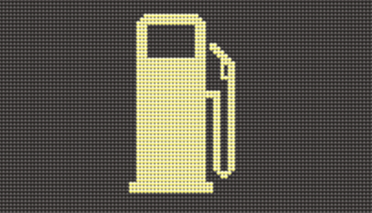 Across the globe, raw materials are becoming ever more scarce and more expensive. 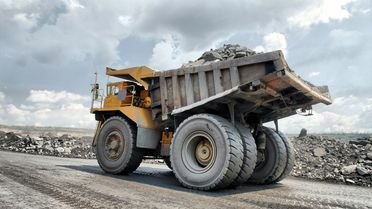 For many years, these mineral resources were exported to the industrial nations, where they were required for things such as computers, cell phones and cars. And now, the large cities can be compared to huge raw materials mines. 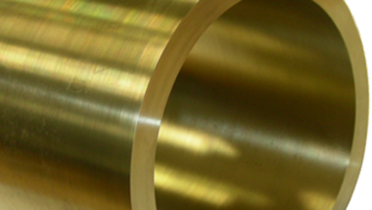 The metals are well concealed in the products we use, and in the future the focus will be on how to recover them. Plansee Express: Now purchase furnace parts online. It’s getting hot at Plansee Express! The leading online shop for refractory metals such as molybdenum and tungsten is now also offering finished parts for high-temperature furnaces. 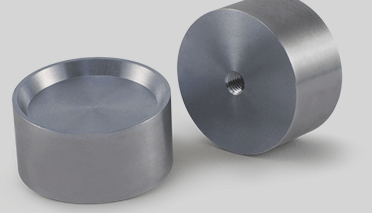 Molybdenum crucibles: Reacting quickly to dynamic markets. Three days for thin films. 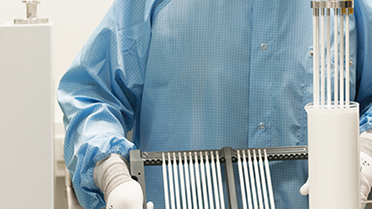 Whether for flat screens, tools or solar cells: We have the right thin film material for every type of application. 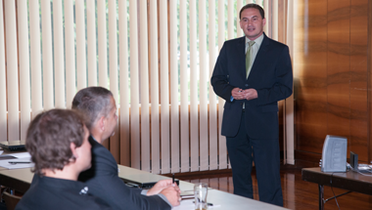 Our experts from around the world meet once every year to discuss their ideas and experiences. 35 secondary school students are taking their lessons in our training workshop. Learning in an industrial company rather than in the classroom. 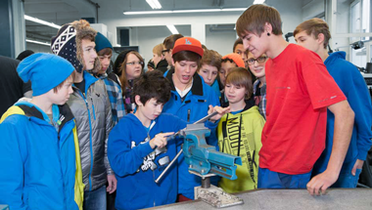 For another 16 fifth-year students at the Bundesrealgymnasium Reutte, Elementary Metalworking lessons are held in the Plansee training workshop. Sourcing, processing and recycling of tungsten: These were the subjects covered by Managing Director of Plansee, Dr. Wolfgang Köck, in his presentation at the EUMICON raw materials conference in Leoben, Austria. 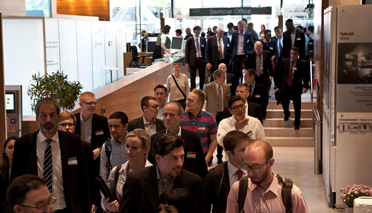 Fast ions and hot processes: experts from the semicon industry meet at Plansee. 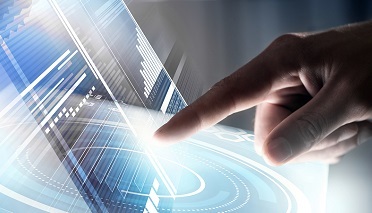 The opportunity for users to report on their experiences provides an impetus for fresh ideas in the semiconductor industry. 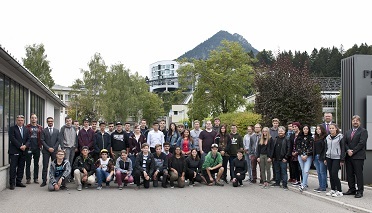 In September, practitioners, researchers, system manufacturers and suppliers met together at Plansee in Reutte, Austria. EU PVSEC: Great to have seen you there! It was a pleasure meeting you in Frankfurt. We certainly hope that our strong metals were able to convince you. 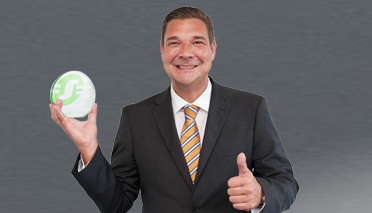 Best Supplier Award von Eaton. 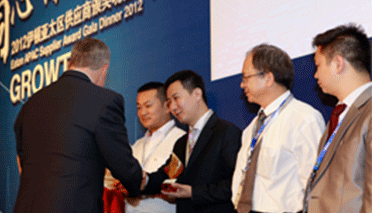 On September 7 2012, Eaton singled out just eight of the company's more than 2500 suppliers to receive its "Best Supplier Award". 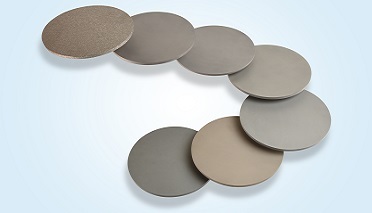 Among them: Plansee China Ltd.
A new inner diameter coating for monolithic molybdenum targets prevents direct contact between the target material and cooling water during the sputtering process. We will present our "upgraded rotary target" at the EU PVSEC in Frankfurt. 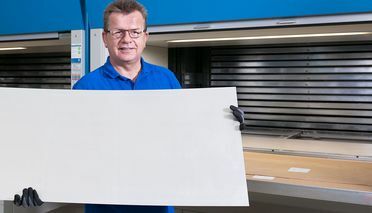 A hydrogen separator with an extremely thin palladium layer supplied ready for installation has made it possible: Pure hydrogen from natural gas. 2.7 square meter TZM sheet. Our newest world record. New system fixes ceramic arcing cathodes reliably. To date an appropriate fixturing system for using ceramic cathodes in arc-evaporation was missing. 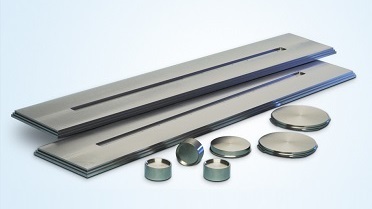 A carrier plate and a cathode ring now enable the use of tungsten-carbide, chromium-silicon or titanium-diboride. 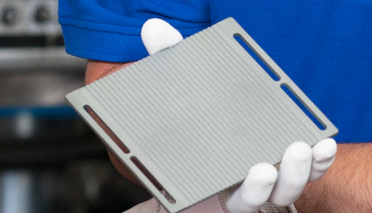 Cool base plates look for hot semiconductors. The semiconductor components used in the electronics industry produce ever more heat during operation. 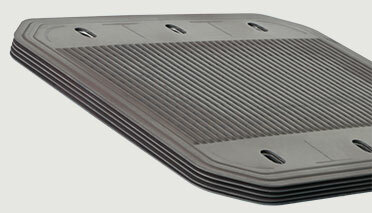 Efficient cooling asks for high-tech materials from Plansee. 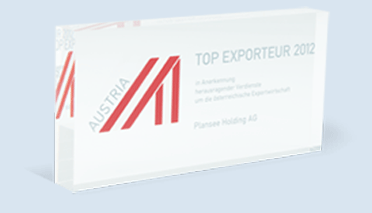 The Austrian Federal Economic Chamber honered the Plansee Group for its efforts in exporting. True energy savers: Lightweight metallic hot zones. With our Enerzone series of products, we can provide genuine lightweight hot zones that reduce energy requirements by up to 25%. 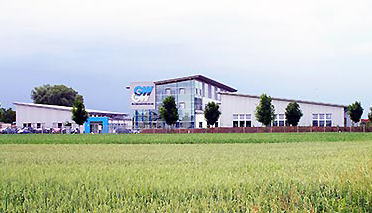 The CERATIZIT Group will invest in a 50% share of the tool manufacturer Günther Wirth (GW). 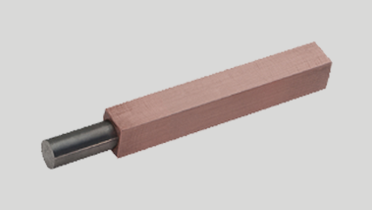 With this step CERATIZIT complements its product line with round tools made from hard metal, and whose production GW specializes in. CERATIZIT is a division of the Plansee Group. Meet our coating team at the EU PVSEC in Germany! To improve the molybdenum layers used in thin-film solar cells, we have developed two very special alloys: MoNa for a precise sodium doping, and MoTa for a better corrosion resistance. 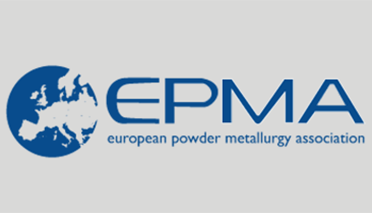 Dr. Christoph Adelhelm will present both materials at the EU PVSEC. From concrete to strong metal. 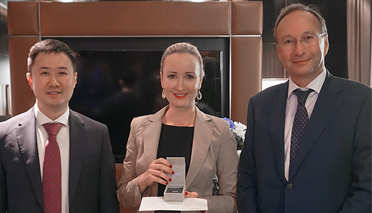 Every year, the international engineering consulting company Fritsch, Chiari & Partner ZT awards its Innovation Award for outstanding achievements in the engineering sciences. This award was recently conferred on our employee Dr. Bernhard Valentini. Plansee Electro-Graph moved. Five kilometers away from the former production site in Carlsbad our components for ion implantation now have twice as much space as before. It was 60 years ago that Dr. Paul Schwarzkopf conceived of the Plansee Seminar. At the end of June 1952, scientists gathered in Reutte / Austria at his personal invitation to discuss the properties of metals (De Re Metallica). Nuclear Fusion: Only the best survive! 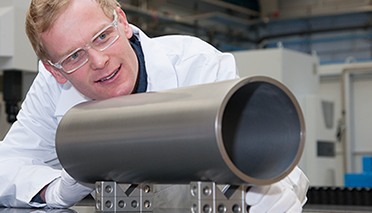 Heat exchanger from Plansee to become ready for series production for ITER. Sales of more than 1,5 billion euros. 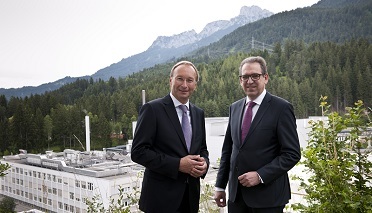 “Despite global uncertainties caused by government debts, euro and banking crisis we were able to continue our worldwide expansion during 2011”, Plansee Group’s executive chairman, Dr. Michael Schwarzkopf, said at the annual press conference in Reutte. Plansee Express opens to the Japanese market. Semi-finished and standard products can now be ordered in Japan at Plansee’s worldwide online shop. 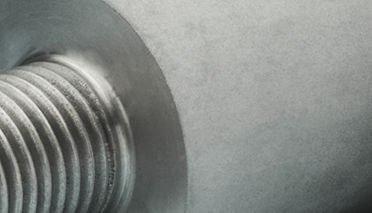 Confronted with conditions in which traditional metals quickly deform or contaminate the atmosphere as a result of high vapor pressures, molybdenum delivers with a high level of chemical purity, resistance to corrosion and dimensional stability. EUMICON 2012: Visit our lectures. We will be present when international experts focus on security of supply, resource efficiency and recycling. EUMICON 2012. The biggest date in the European resources sector calendar. Resource-efficient extraction, and sustainable, secure and affordable access to raw materials are pivotal issues – not just for the mineral resources sector but for the future of the European economy as a whole. 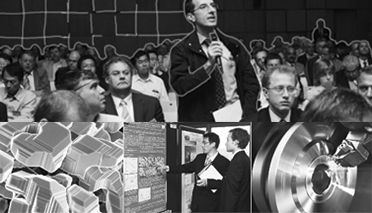 The most influential event in this year’s international mineral resources conference calendar, the three-day EUMICON 2012, will examine these topics from a wide variety of perspectives. Brilliant performance in sapphire growth. Growing sapphire in a crucible has become child's play thanks to tungsten crucibles from Plansee. 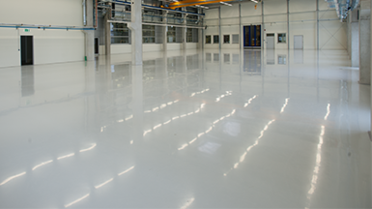 Their particularly smooth surface gives them a longer service life and reduces costs. The conductivity of the molybdenum back contact affects the efficiency of the entire CIGS solar cell. Working together with the TU Bergakademie Freiberg, we have subjected this material property to a thorough examination. How do our materials contribute in the semiconductor industry? Find out in Valladolid/Spain and San Francisco where we will present spare parts as well as our Advanced Standard components for ion implantation. SOFC20: Initial test with hot box stack module completed successfully. With new interconnects we contribute to a natural gas-fired, stationary system demonstrator. With an electrical power output of more than 5 kW, it will achieve an electrical efficiency in excess of 50%. India receives the prestigious "All India Star Performer". Sputtering targets on tour in Taiwan. Be there! As thin functional layers, molybdenum, tungsten, aluminum, titanium and copper play an important role in flat panel displays. Normally found in the depths of thin film transistors, these metals will put in an apprearance at the Display Taiwan. 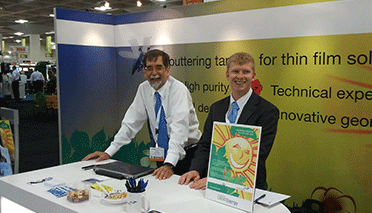 Sputtering targets for the solar industry: live on stage in Santa Clara and San Francisco. Whether as rotary or planar target: Our materials are the optimum solution as coating materials in thin-film photovoltaics. What do all of our targets have in common? Unbeatable material purity, homogeneous and oriented microstructure and high density. 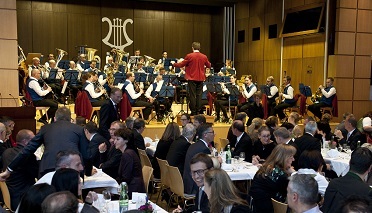 On 26th January, Plansee was singled out as "Supplier of the Year" by the Warstein-based Infineon Technologies Bipolar. New: Molybdenum-tantalum against corrosion in CIGS. Thanks to its good adhesion to glass and a high electrical conductivity, molybdenum is the back contact material in CIGS solar cells. 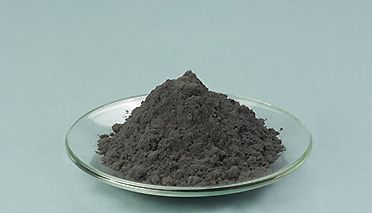 However, exposed to corrosive atmospheres molybdenum can be prone to oxidation. Our answer: Molybdenum-tantalum. LED: Mo-Cu R670 prevents cracks in semiconductor layers. 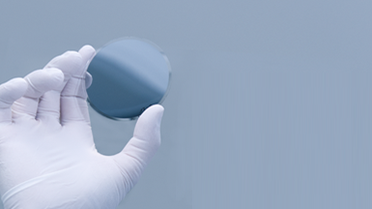 With Mo-Cu R670, Plansee has developed a new molybdenum-copper composite material for semiconductor wafer substrates. The material ensures optimized heat dissipation in LED chips. 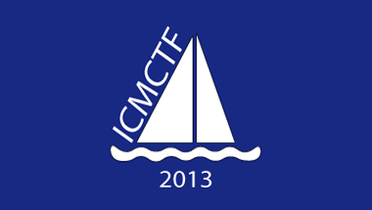 Our hard coating team at the ICMCTF in San Diego. 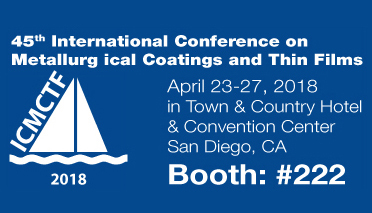 Plansee sputtering targets for hard coating are on show from 23 – 27 April, 2012 at the International Conference on Metallurgical Coatings and Thin Films (ICMCTF) in San Diego (CA/USA). 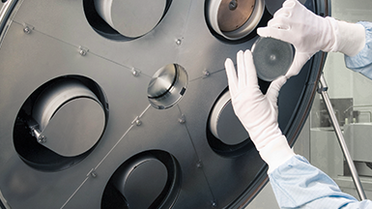 How our sputtering targets make CIGS production more effective. Meet us in Tokyo and Santa Clara! Strong metals for the LED industry at the Lighting Japan and the Strategies in Light (USA). 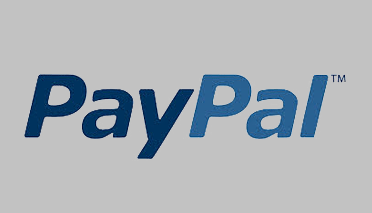 To improve its Internet customer service even further, Plansee now features the well-known PayPal payment processing functionality in its online shop. We do not source any of our materials from regions afflicted by conflict. 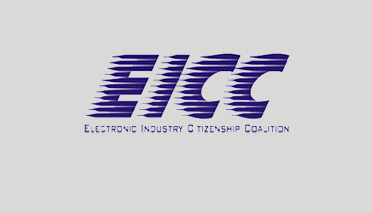 The fact that we only use tantalum raw materials from ethically unimpeachable sources is now officially confirmed by EICC certification. Plansee is further expanding its presence in the booming Asian market with the acquisition of Korean company TCB Korea Co., Ltd. 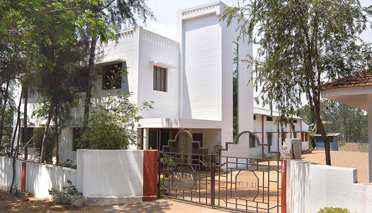 The purchase agreement was signed on 20 October 2011, with the parties agreeing not to disclose the purchase price. 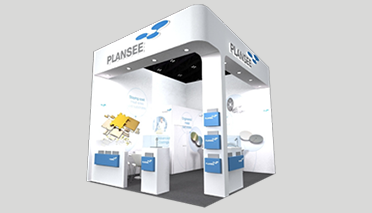 Plansee has been active in Korea for six years, running its own sales office. 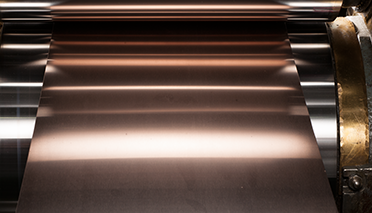 Together with Manz, Plansee has been studying the influence of the coating parameters used during the sputtering of the molybdenum layer on laser scribing. The results show that the process pressure and target power have a great influence on quality. And the Best Paper Award goes to? 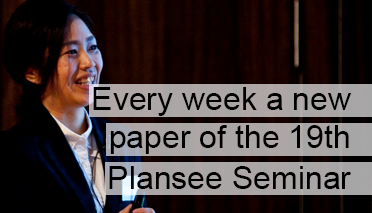 The International Conference on Tungsten, Refractory & Hardmaterials rewards Plansee's research paper. The Plansee Group realized record sales of 1.24 billion euros in the last fiscal year. 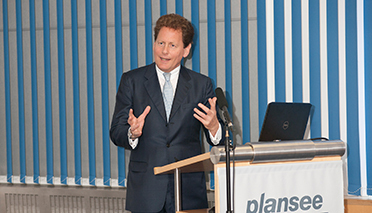 “We recovered from the downturn that was caused by the financial crisis more quickly than expected and performed very well in the 2010/11 fiscal year – from both an operational and a strategic point of view,” said Plansee Group CEO Michael Schwarzkopf at the annual press conference in Reutte, Austria. Plansee Group acquires minority ownership of the Chilean company Molibdenos y Metales S.A. The Plansee Group, one of the worldwide leading companies for powder metallurgical products made from high performance materials such as molybdenum and tungsten, has taken over 7 percent of the shares in form of a block deal of the Chilean company Molibdenos y Metales S.A. (Molymet) on 25 March 2011. 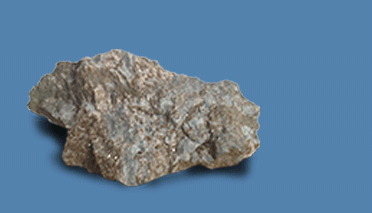 Molymet is the worldwide leading processor of molybdenum ore concentrates. 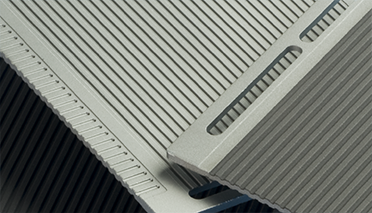 PLANSEE High Performance Materials intends to acquire a majority stake in Wolfra-Tech Pvt. Ltd, and has recently signed a letter of intent to this end. The transaction should be completed within the next couple of weeks. The 2009/10 fiscal year saw the Plansee Group implement a range of initiatives in response to the drop in demand triggered by the global economic crisis. These included structural changes and a range of measures to improve liquidity and competitiveness. The Group’s sales fell by 22 percent compared with 2008/09, to 852 million euros, while its equity ratio increased to 47 percent. Overall, the Group’s outlook for the future remains positive. Plansee will focus on increasing its innovation activities and on implementing more flexible working practices. PLANSEE’s interconnects are making a significant contribution to clean, reliable, affordable energy generation as a component in Bloom Energy’s recently announced Energy Server. The 2008/09 fiscal year saw the Plansee Group’s consolidated sales rise by two percent, to a total of 1.1 billion euros. The Group continued to strengthen its position globally in the last fiscal year, and completed an investment program worth a total of 400 million euros. In the actual fiscal year managing the global economic crisis is a key priority: Measures to reduce costs and to increase liquidity are being implemented consistently. 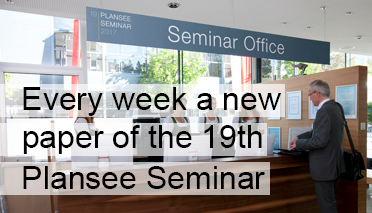 The 17th Plansee Seminar, the world’s most prestigious conference on powder metallurgical refractory metals and hard materials, will take place at the Plansee Group’s headquarters in Reutte, Austria during the last week of May this year. The provisional program for the seminar has now been announced. 500 industry and research experts from 40 nations are expected to attend. Plansee Group's consolidated sales rose by 11 percent to a total of 1.079 billion euros in the 2007/08 fiscal year. Its number of employees increased by 350 to 5,900. Record investment of 400 million euros over the last three years has supported the Group's stable growth path. A range of acquisitions and the establishment of new subsidiaries has strengthened the Group's global presence. 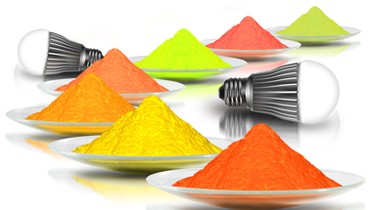 The Plansee Group has signed an agreement to purchase the Global Tungsten & Powders (GTP) business unit from Osram. The activities are part of the US company Osram Sylvania. The purchase price has not been disclosed, and the transaction remains subject to approval by the antitrust authorities. 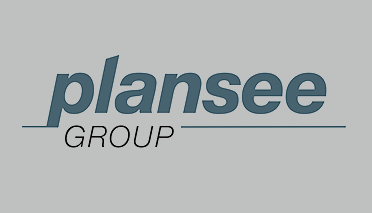 With the acquisition the Plansee Group will increase the company’s competitiveness and raw materials supply base for tungsten products, and expand its refractory metals activities in North America. GTP employs 1,050 people and will become a new division of the Plansee Group. The Plansee Group recently published the first-ever environmental report on activities at its largest production site in Reutte, Austria. 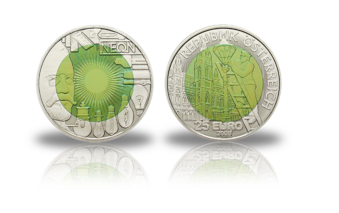 For the sixth time now, the Austrian Mint "Münze Österreich“ is issuing a bimetal 25 Euro coin in cooperation with Plansee. The 2006/07 fiscal year saw the Plansee Group’s consolidated sales rise by 13 percent, to a total of 971 million euros, and its number of employees increase to 5,550. Record investment of 121 million euros ensured the Group continued its growth around the world, while a range of acquisitions and the establishment of new businesses strengthened the Group’s global presence. The Plansee Group has announced record sales in its 85-year history. In the 2005/06 fiscal year the Group’s con-solidated sales increased by 26%, reaching 857 million euros. 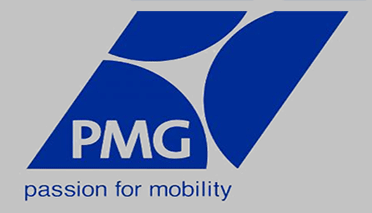 The merger of Plansee’s and Mitsubishi’s sin-tered steel activities positioned the PMG Group as one of the world’s leading suppliers of PM-products to the automotive industry. The Group’s consolidated head-count rose from 4,600 to 5,050. Profitable growth al-lowed record levels of investment. The national award for the “Encouragement and Development of Life Accompanying Learning in the Occupational Context” is a distinction granted by the Ministry of Economic Affairs to companies and nonprofit organizations making an exceptional contribution to the continuing education and development of their employees’ competencies. 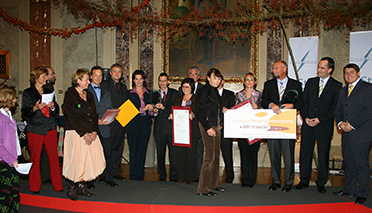 The presentation ceremony was held on November 16, 2005, this year for the first time in the headquarters of the Federation of Austrian Industry on the Schwarzenbergplatz in Vienna. 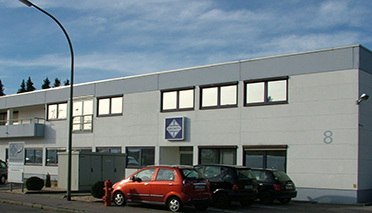 In the 2004/2005 business year, which ended on 28 February, the PLANSEE Group was able to maintain its long-term growth, with consolidated group turnover up by 19% to 680 million Euros. This increase can be put down to considerably higher worldwide demand, changes in the product mix and raw material-induced sales price increases. From a regional perspective, Germany with its strong export industry as well as USA, Japan and Taiwan showed the largest growth rates. All important sales sectors of the PLANSEE Group, such as the automotive and electronics industries as well as lighting, medicine and power technologies contributed to the record year 2004/2005 with double-digit growth rates.